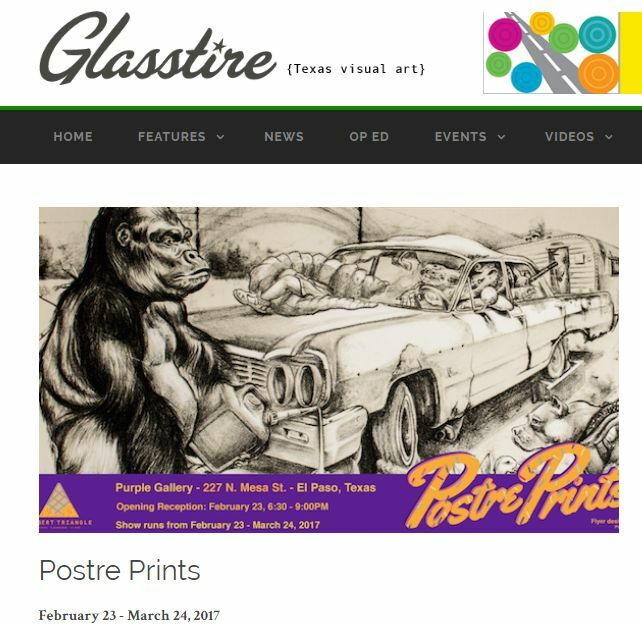 POSTRE PRINTS exhibition -- Feb 23 to Mar 24, 2017. At the Purple Gallery on San Jacinto Plaza in downtown El Paso. 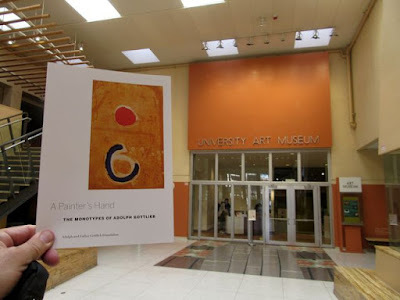 -- 227 North Mesa Street. 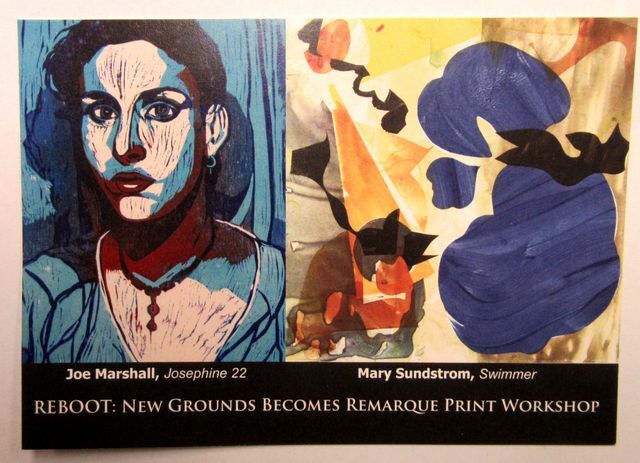 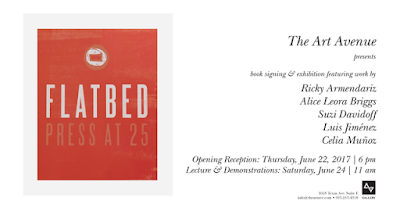 Opening during the Last Thursday Artwalk -- Feb 23rd, from 6:30 - 9 PM. Music by gr3ng1n3. 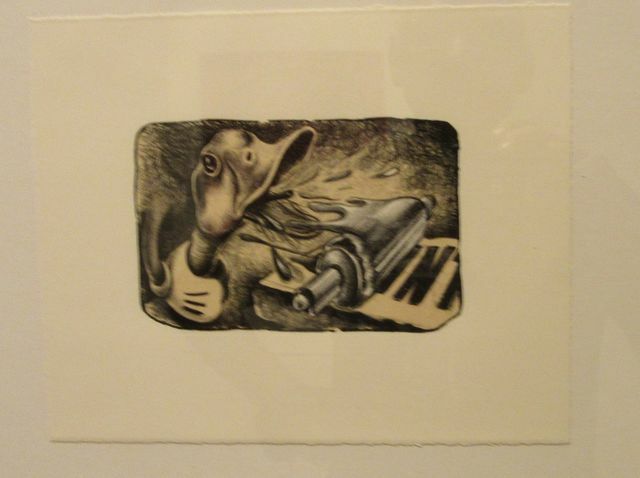 Food by Eduardo Bouche. 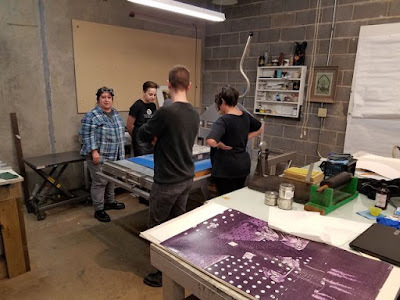 Cynthia Evans doing print demo at FabLab El Paso. FABLAB El Paso -- open from 7 - 11 PM!!! 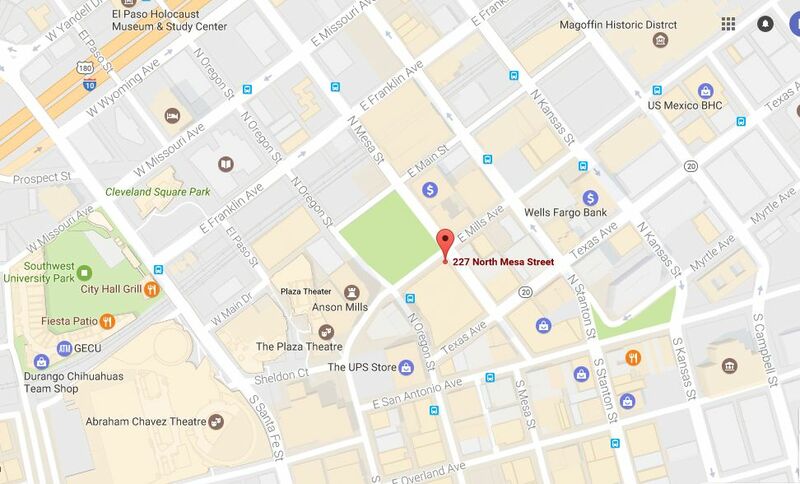 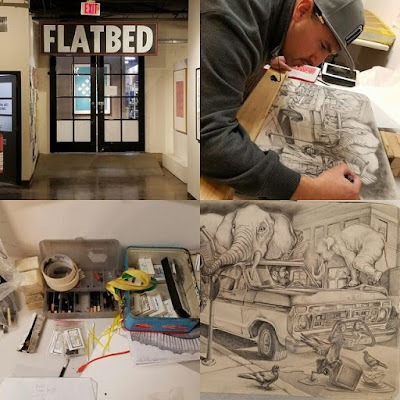 FabLab El Paso will be having a soft opening that same night -- February 23rd -- during the Last Thursdays! Artwalk. 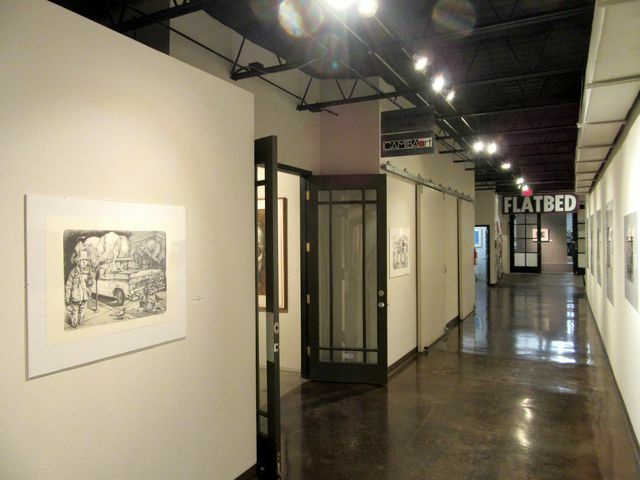 -- at the new Roderick ArtSpace building,601 N. Oregon Street. 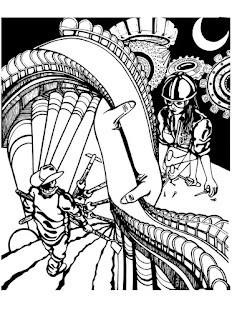 They have TiltBrush over there. FabLab El Paso going until 11 PM, for the after party! 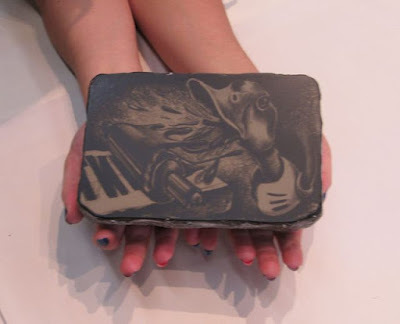 Live print demo by Cynthia Evans. 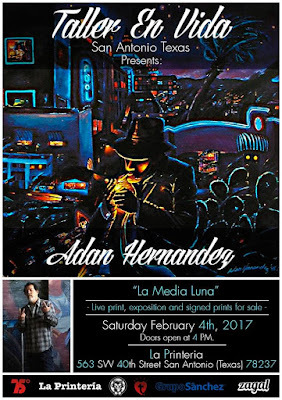 Proper Printshop will be having an Art en Vivo event next door -- doing live printing for artist Christian Castaneda of Mexico City -- 7 - 9 PM. 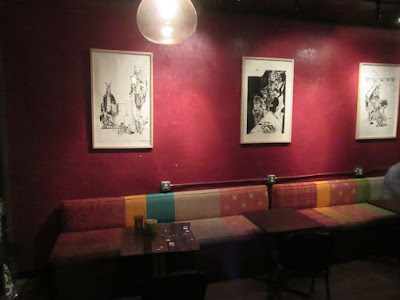 This is for their soft opening at the Roderick Artspace, 601 N Oregon St.
KTEP interviews by Marina Monsisvais. Jan 7th with Erica Marin about the Purple Gallery in El Paso, mentions the upcoming Postre Prints exhibition. 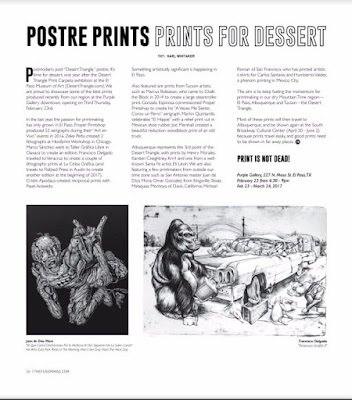 Feb 18th with Francisco Delgado also mentions the Postre Prints exhibition. 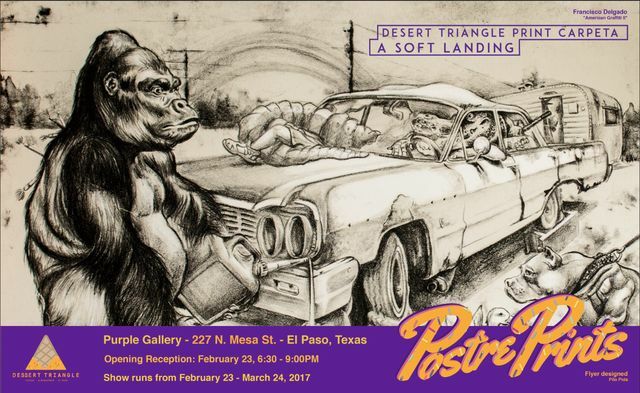 Postmodern, post “Desert Triangle,” postre. It’s time for dessert, one year after the Desert Triangle Print Carpeta exhibition at the El Paso Museum of Art (DesertTriangle.com). 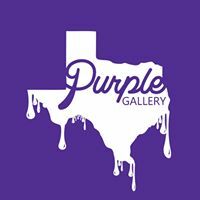 We are proud to showcase some of the best prints produced recently from our region – at the Purple Gallery downtown, opening on Third Thursday, February 23rd. 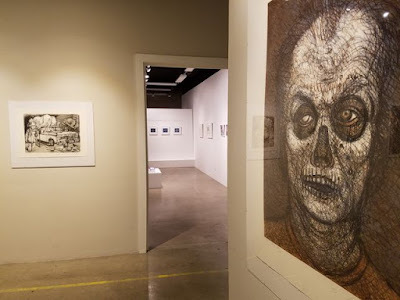 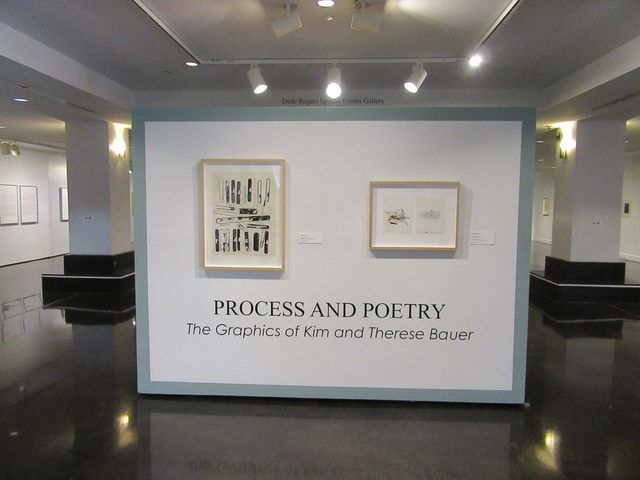 In the last year, the passion for printmaking has only grown in El Paso. 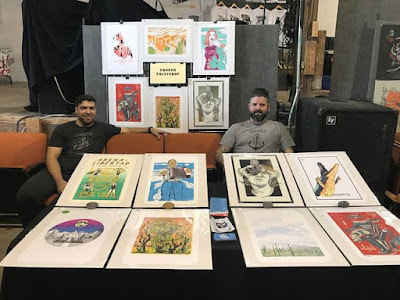 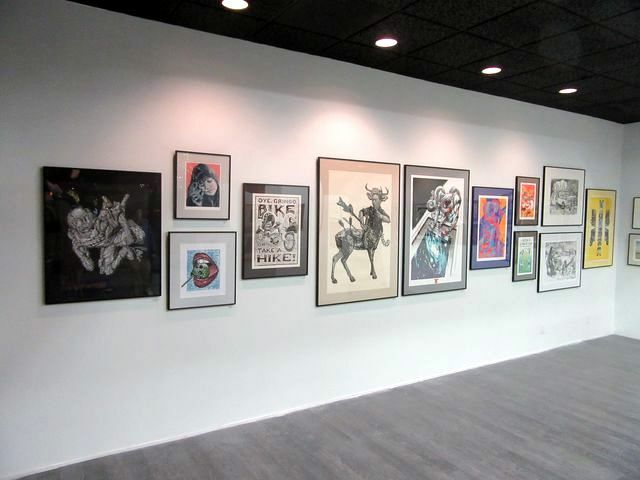 Proper Printshop produced 52 serigraphs during their "Art en Vivo" events in 2016. Zeke Peña created two lithographs at Hoofprint Workshop in Chicago. 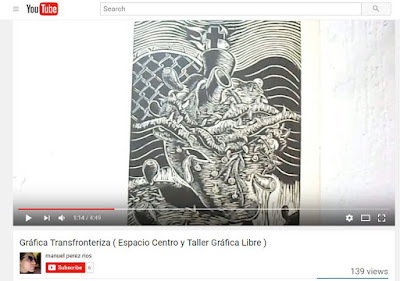 Marco Sánchez went to Taller Gráfica Libre in Oaxaca to create an edition. 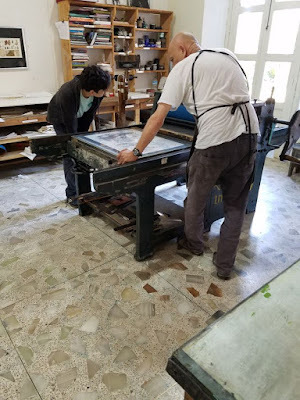 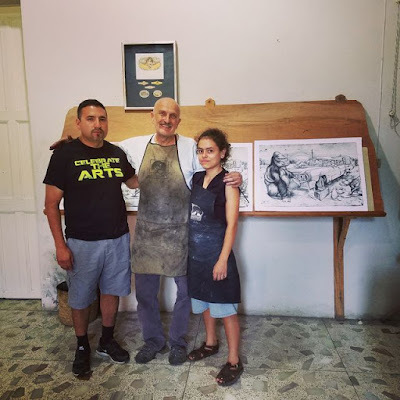 Francisco Delgado traveled to Veracruz, to create a couple of lithography prints at La Ceiba Gráfica (and travels to Flatbed Press in Austin to create another edition at the beginning of 2017). 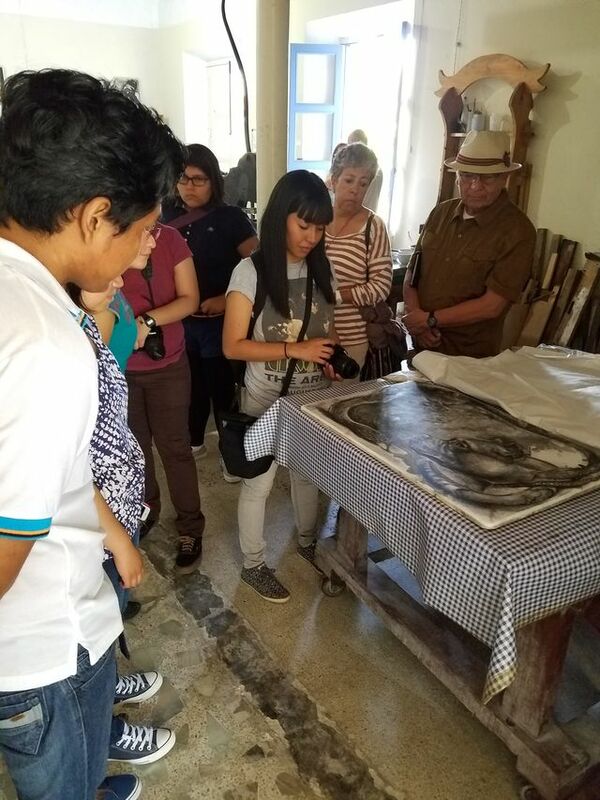 Cristin Apodaca created reciprocal prints with Pavel Acevedo. 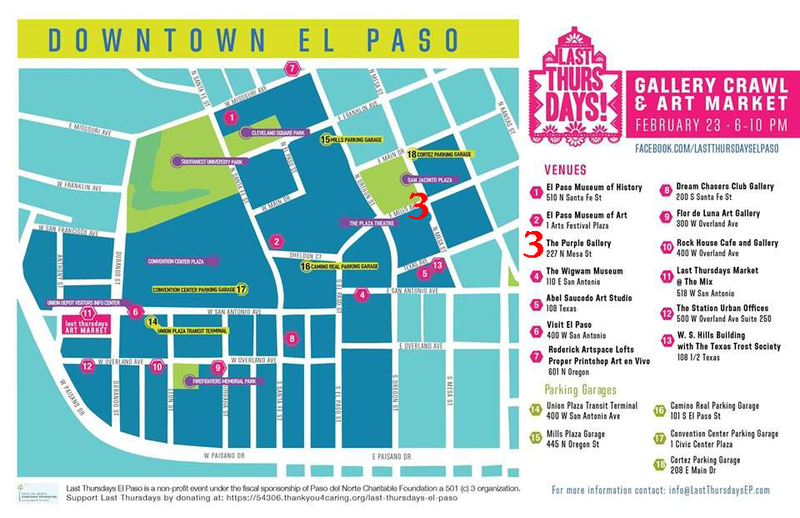 Something artistically significant is happening in El Paso. 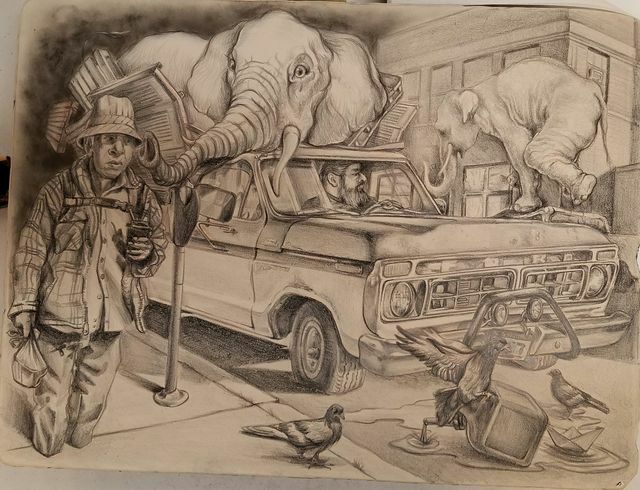 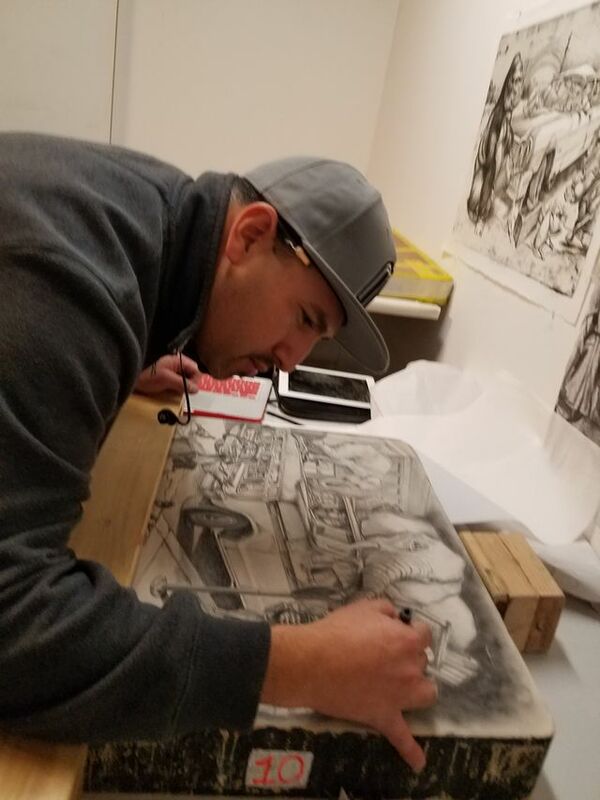 Also featured are prints from Tucson artists, such as Marcus Robiason, who came to Chalk the Block in 2014 to create a large steamroller print. 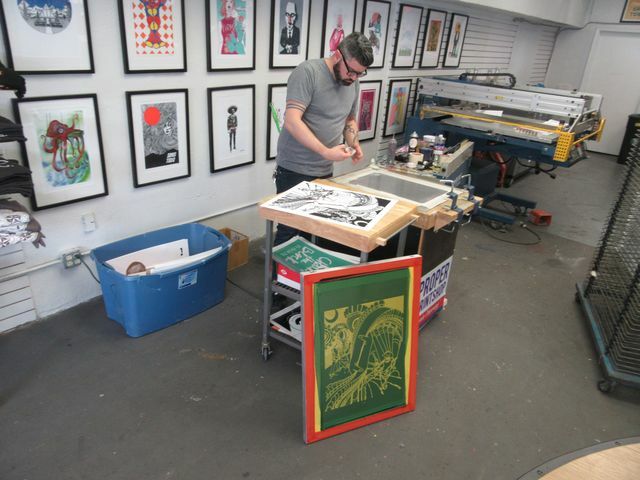 Gonzalo Espinosa commissioned Proper Printshop to create his "A Veces Me Siento como un Perro" serigraph. 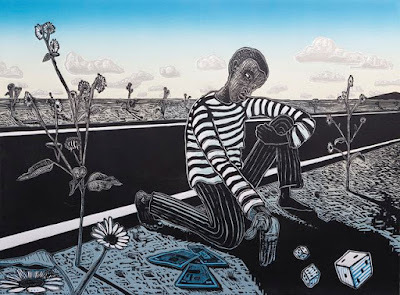 Martin Quintanilla celebrates "El Hippie" with a relief print cut in Mexican shoe rubber. 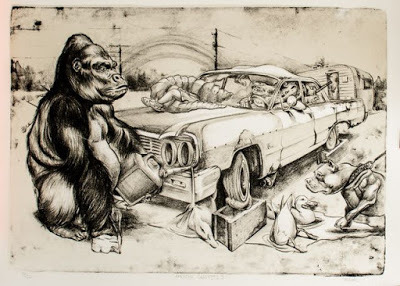 Joe Marshall created a beautiful reduction woodblock print of an old truck. 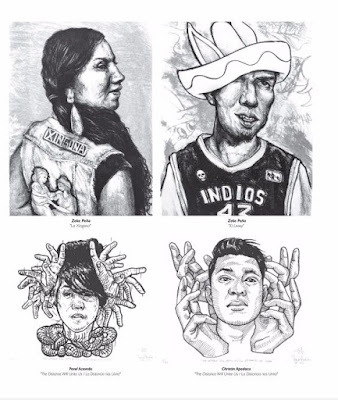 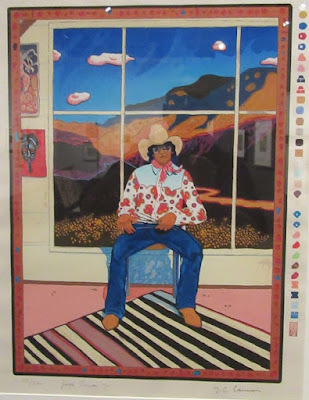 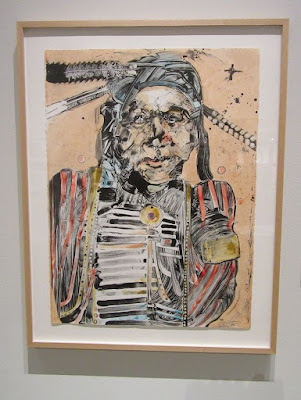 Albuquerque represents the 3rd point of the Desert Triangle, with prints by Henry Morales, Karsten Creightney, Krrrl, and one from a well-known Santa Fe artist, Eli Levin. 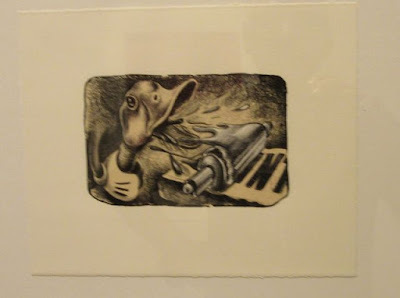 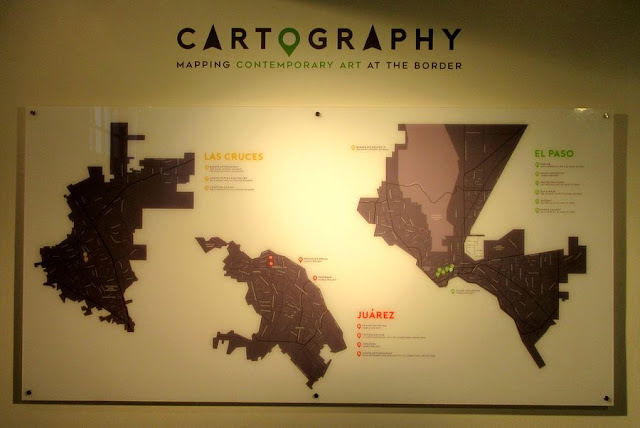 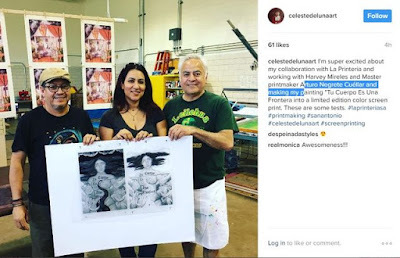 We are also featuring a few printmakers from outside our time zone – such as San Antonio master Juan de Dios Mora; Omar Gonzalez from Kingsville, Texas; Malaquias Montoya of Davis, California; Michael Roman of San Francisco, who has printed artistic t-shirts for Carlos Santana; and Humberto Valdez, a phenom printing in Mexico City. 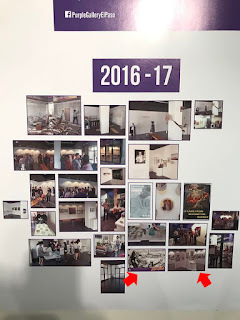 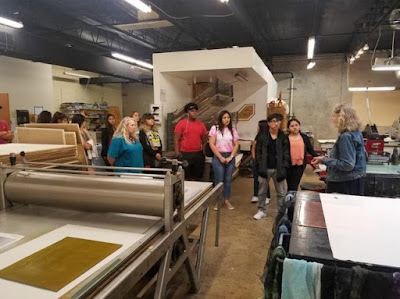 The aim is to keep fueling the momentum for printmaking in our dry Mountain Time region – El Paso, Albuquerque and Tucson – the Desert Triangle. Most of these prints will then travel to Albuquerque, and be shown again at the South Broadway Cultural Center (April 20 - June 2) – because prints travel easily, and good prints need to be shown in far away places. 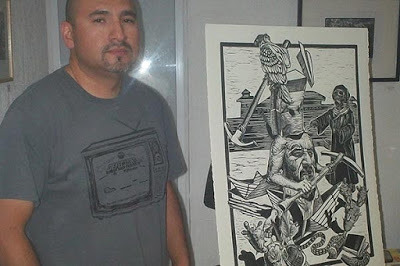 Yorch (Jorge Perez) of Juarez is making a print, especially for sale at this exhibition. 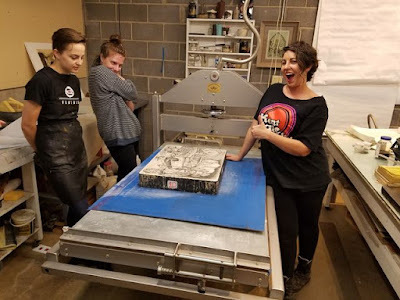 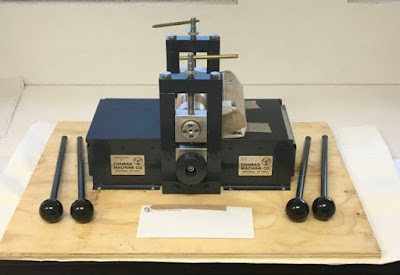 "Sobre el Puente -- Over the Bridge"
Our portable Conrad E-9 small etching press arrived, and we hope to show it, and even break it in during this exhibition. EL PASO MUSEUM OF ART -- "The Harmon and Harriet Kelley Collection of African-American Art: Works on Paper"
EL PASO MUSEUM OF ART -- "Process and Poetry: The Graphics of Kim and Therese Bauer"
UNIVERSITY OF NEW MEXICO ART MUSEUM (Albuquerque) --"A Painter's Hand - The Monotypes of Adolph Gottlieb"
Francisco Delgado continues with the desert momentum, by creating another lithograph at Flatbed Press of Austin, Texas, in early January. 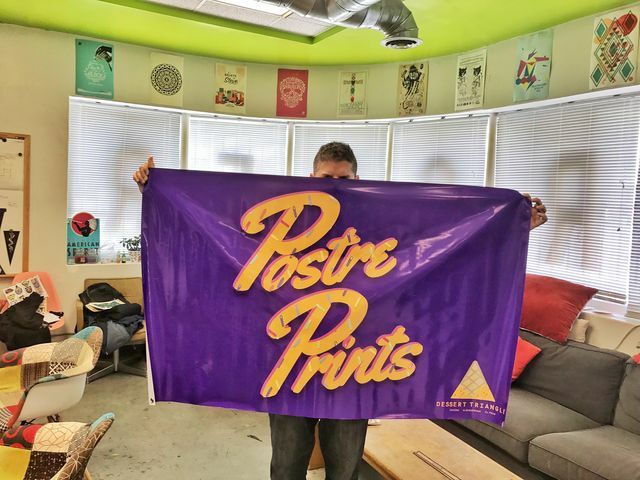 Now available for sale at Flatbed Press! 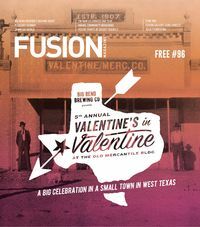 Print Austin happens from Jan 15 - Feb 15 in 2017. 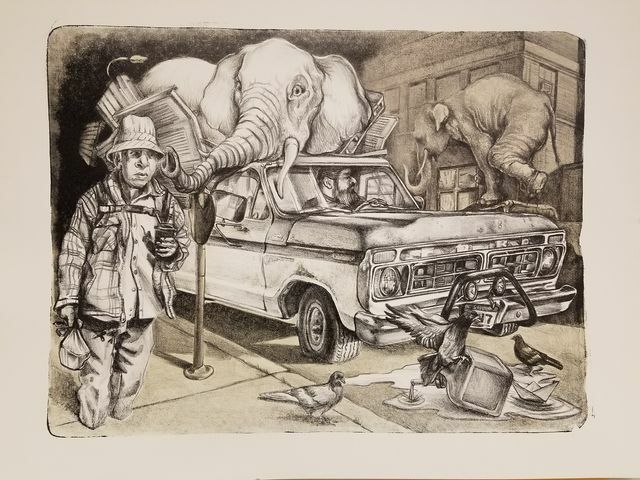 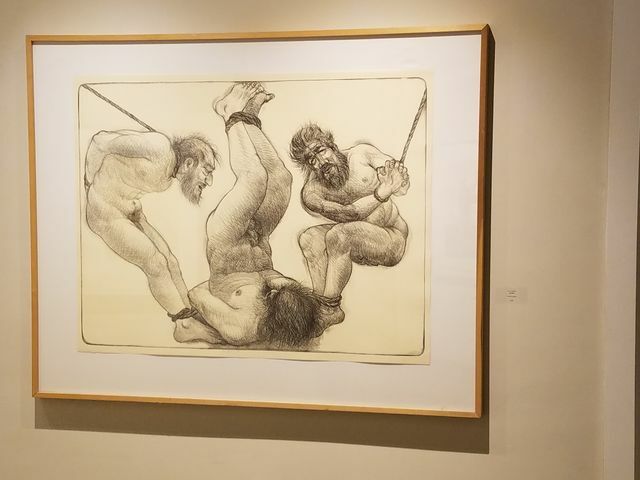 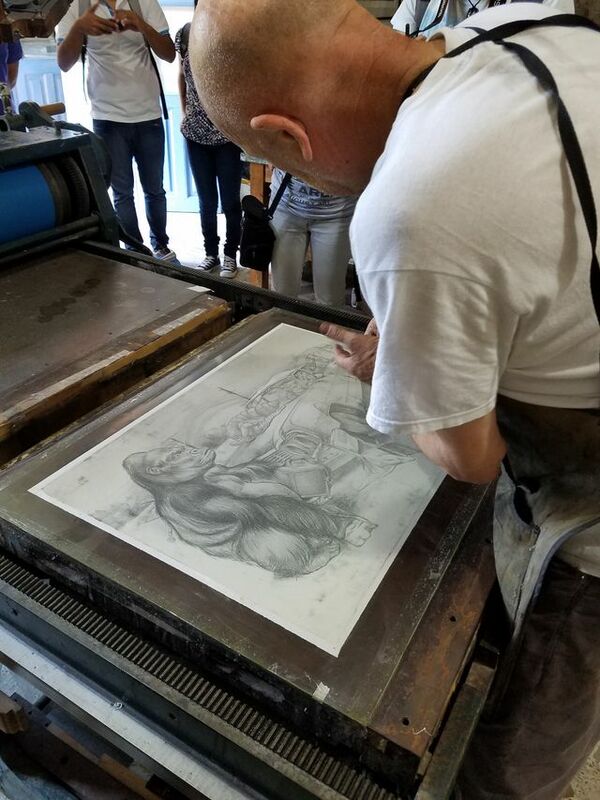 Also, Flatbed Press brought Francisco's lithograph to the Baltimore Contemporary Print Fair, April 1st and 2nd, 2017 -- at the Baltimore Museum of Art. 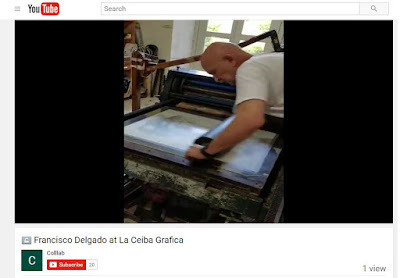 Last August (2016) Francisco Delgado created a lithograph at La Ceiba Grafica, in Veracruz, Mexico. where Manuel Guerra made his Desert Triangle print edition. 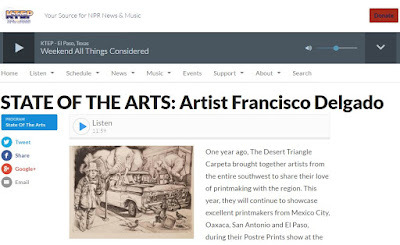 Marina Monsisvais of KTEP interviewed Francisco Delgado about his lithography printmaking experiences, on the State of the Arts radio program. 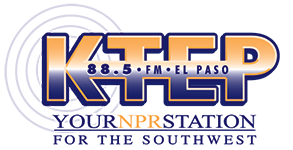 Aired on Feb 18th, 2017. 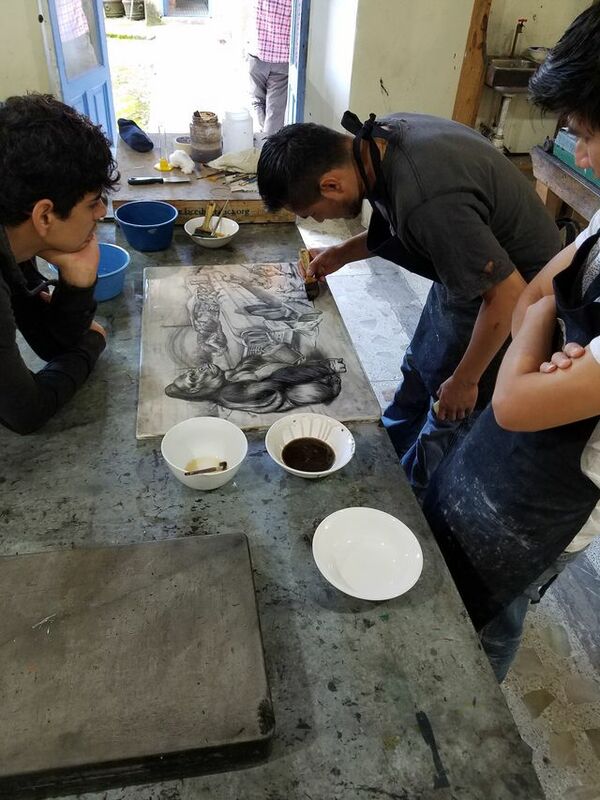 In July of 2015, Francisco Delgado created a linoleum cut edition in Oaxaca, at Taller Grafica Libre, for the Desert Triangle (where Toru Sugita recently created 2 intaglio prints). 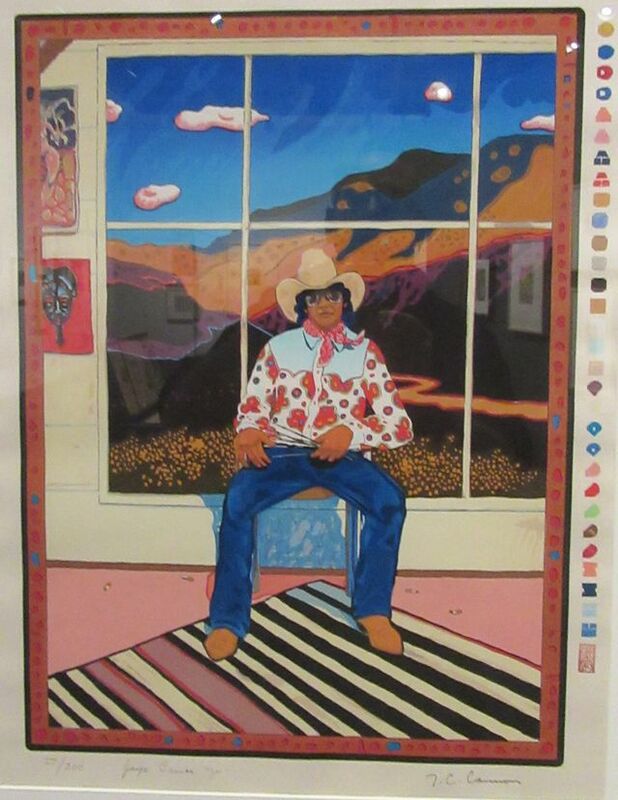 Francisco also painted the mural on the side of the Sagrado Corazon church in El Paso. 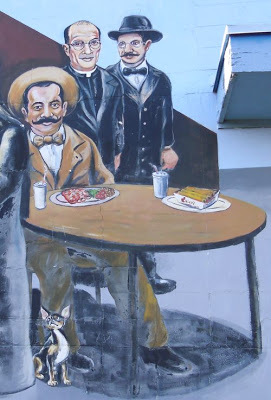 Below is a detail, before the mural was restored, of frequent visitor Pancho Villa eating Chico's Tacos. 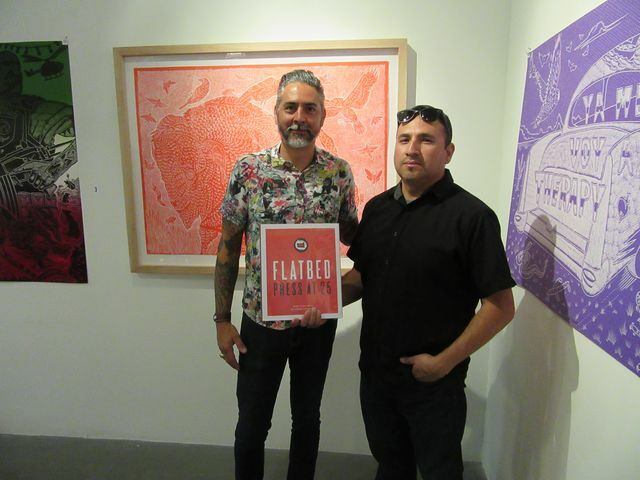 Francisco Delgado showed up to the Art Avenue for the Flatbed Press book signing in El Paso, even though he created his masterpiece after the catalog came out. 3 of the artists in the book came to the opening, all with El Paso connections.